This is the third article in a series aimed at providing readers with an understanding of the UN Security Council. In the first part, UNU’s own Peter Nadin gave us a look at the origins, powers, instruments and activities of this premier forum in international politics. In part 2 you can learn what the UN Security Council is NOT before checking out the ideas for its reform here below. See a full list of associated stories in the Related Articles section at the end of this page. The argument of many critics of the United Nations Security Council is that it isn’t effective and that it needs to be fundamentally reformed. The loudest calls for reform come from those who believe that the inclusion of a host of new permanent members is the answer to the effectiveness deficit. Others argue that it is folly to suggest that the addition of new permanent members would amount to meaningful reform. Since the end of the cold war, these reform debates, contorted by politics, have circled endlessly without any prospect of conclusion. With the creation of the ‘Open-ended Working Group on the Question of the Equitable Representation on and Increase in the Membership of the Security Council and Other Matters Related to the Security Council’ (the UN committee with the longest title), the debate became formalized and plans for reform subsequently proliferated (see table 1). G4 (Japan, Germany, India and Brazil) The G4 plans envisage a Council with a total membership of 25, including six new permanent members (Brazil, Japan, Germany, India and two African countries) and an additional three elected seats. Ezulwini Consensus The Ezulwini Consensus represents the Africa bloc and proposes two permanent seats and two additional elected seats for Africa. Under the proposal, the permanent members would be granted ‘all the prerogatives and privileges of permanent membership including the right to veto’. In general terms, reform is aimed at improving performance, and altering something for the better; it is concerned with repairing defects and overcoming limitations in order to realize some higher state of performance or effectiveness. Working from the premise that the Council is defective, reforms should repair defects and thereby improve the Council’s effectiveness. Perhaps, the most well recited argument for an expanded Council (with up to six new permanent seats) is the argument that the Council does not reflect contemporary power realities and should therefore be reformed to reflect the so-called new realities of the 21st Century. The overarching narrative of legitimacy through representativeness and the dilution of power is argued as a given. Yet, as Ian Hurd has suggested, there exists little evidence to suggest that the addition of new permanent members to the Council would automatically enhance its legitimacy. It is clear that aspirant countries understand the value of permanent membership, each has an interest in their own election and each uses the rhetoric of representativeness in support of their claims. Adding India, Brazil, Germany, Japan, South Africa and Nigeria (see table 2) is not an exercise in representativeness, nor is it an act of dispersing power. Permanency concentrates power in the hands of five or five + six, in the case of a reformed Council. Including the powerful on the Council is representativeness, insofar as it is representative of the distribution of power in the world, as decided at that particular moment in history. In terms of other forms of representation, the argument has been made that many of the BRICS (namely Brazil, South Africa, and India) aspirants are representative of their region or of the Global South. The weakness of this argument is that in the end countries are representative of themselves — the nameplate in front of each new permanent member would not read ‘Global South’ or ‘Latin America’ or ‘South Asia.’ This might be fatuous, but it underlines an undeniable fact. At the recent reform debate the Indian representative argued that an enlarged Council would address the “democratic deficit, which prevents effective multilateralism, a multilateralism that is based on a democratically-evolved global consensus”. There is an instant attraction to the idea of democratization, but it remains to be seen whether adding more permanent members to the Council constitutes an act of democratization. Yes, adding additional members from the Global South is a valid proposition, but giving these additional members permanency captures a very anti-democratic sentiment. Another argument, aside from the inequality argument, is the argument founded on the notion that if you get the regional powers, the so-called ‘heavy lifters’ (the largest countries in terms of economy, population and military power) in the room, Council outcomes will be improved. This was the original rationale for the institutionalized privilege afforded the five veto wielding permanent members. The expectation was that permanent members would contribute more to the maintenance of international peace and security. So what about the argument for creativity? In the Council, a brand of creativity is required to ensure more contextually sensitive resolutions are crafted. Herein lies the counter-argument: if you allow the so-called heavy lifters in the room they will throw their weight around, for the sake of it, rather than acting in a more creative and constructive manner. In the past many of the smaller countries have been the real innovators, because (1) they understand their limitations, (2) they’re not trying to run the world, (3) they tend to carve out a niche in the Council’s agenda, and (4) often contribute through the power of the better argument. The Arria Formula (Diego Arria of Venezuela), the refinement of the Panel of Experts (Robert Fowler of Canada), and even the concept of peacekeeping (Lester B. Pearson of Canada) were all suggestions of smaller powers. India, Brazil, Japan, and Germany are all global economic heavyweights, but that does not necessarily mean they are the creative heavyweights that the Council needs to function more effectively. The old adage “whether elephants make love or make war, the grass gets trampled” is an expression that applies to the concern held by many smaller countries. Their fear is that if six new permanent seats are created, they will be cut out of decision-making and their creativity will be lost to the Council. Power in international politics is not a constant. The rise and fall of empires throughout history is testament to this fact. The once powerful are no longer powerful and the once weak are now strong. A reformed Council will not represent the end of history. In 20–30–40 years time, new emerging countries such as Indonesia, Mexico, South Korea and Turkey will ask the question: why aren’t we on the Council? And so the reform debate will begin again. Model B proposed by the Secretary-General in 2005, although unattractive to the membership, is more inclined to provide for a more effective membership formula. Four-year renewable members are more accountable; as the wider membership of the UN has the opportunity to assess each elected Council member’s performance — favourably or unfavourably. Another alternative route to reform is by way of reform of the Council’s processes and meeting formats, known as working methods. Although, frequently overlooked, working methods reform does have its supporters within the ranks of the UN membership and they are currently organized under the banner — Accountability, Transparency and Coherence (ACT). In the next article in the series, an alternative vision of the Council will be articulated based on a new set of working methods. 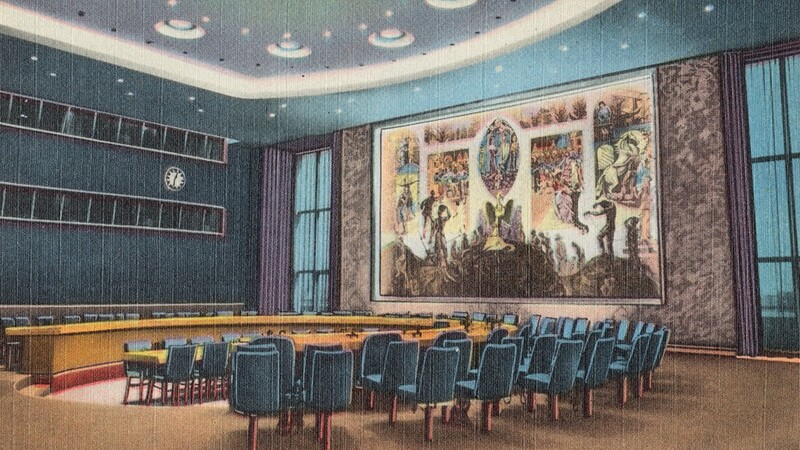 United Nations Security Council Reform by Peter Nadin is licensed under a Creative Commons Attribution-NonCommercial-ShareAlike 4.0 International License. Peter Nadin is an independent researcher based in Sydney, Australia. He has worked previously as a research assistant at the United Nations University, and interned with the UNU Institute for Sustainability and Peace and the UN Department of Peacekeeping Operations. His research interests include the politics of the UN Security Council and UN Peacekeeping Operations. Peter holds a Bachelor of Social Science/Arts (Hons) and a PhD from the University of Western Sydney. After Afghanistan: A Return to UN Peacekeeping?